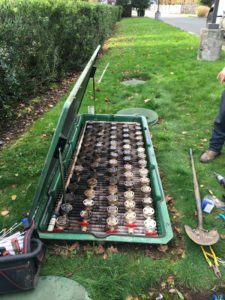 If you have been thinking you need to replace the septic system in your home or business with a new septic system you need to choose an experienced company to handle the project. Choosing an expert company for septic system installation will lessen any concerns you may have regarding the installation process. 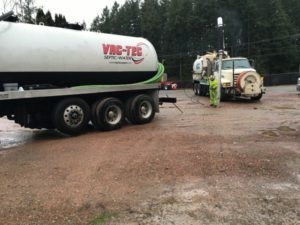 Vac-Tec LLC is a reputable local company that offers high quality services for the installation and maintenance of new septic systems for Enumclaw, WA residents and business owners. You can trust us to choose the best new septic system design for your home or business after considering factors such as the type and size of the tank, your requirements and your budget. To learn more about the installation of a new septic system and the costs associated with it, give us a call today. When it is time to replace your septic system and its septic tank, you must ensure that you choose professionals for the installation. The process of septic tank installation does not simply involve putting the tank in the ground. There are local laws and regulations that must be followed. There is the concern it is done correctly to protect the environment. With us as the company you choose to handle your septic tank installation, you can be assured that you are being served by one of the leading companies in the industry. 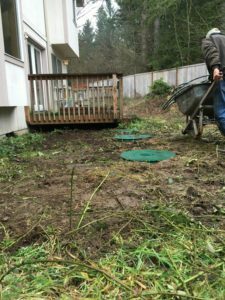 With the number of companies offering services to replace septic systems in Enumclaw, choosing the best can be a daunting task. Nevertheless, considering certain factors and comparing them between several companies will help you choose the best one. We are the ideal company to choose to replace septic systems in Enumclaw as we possess all these qualities. We have a long list of satisfied customers that have called us to replace septic system pumps in their homes. If you require a new septic system for your home and want the assistance of a reputable company that works with Enumclaw residents and business owners, call Vac-Tec LLC at (206) 339-0039.